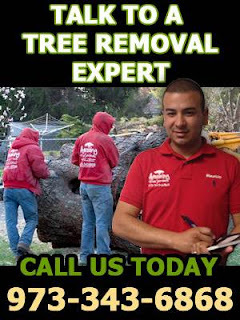 When do you know it's time for tree services in NJ? What are the signs of rot and decay? If you have a tree on your property that is showing any of the following signs, you should call Amazing Tree Services right away! If any trees on your property show a visible crack or wound-wood (a tough, woody tissue that grows behind callus and replaces it in that position), this signals that your tree is unstable and is at high risk of falling during a storm or high winds. Trees that have been previously topped, (removing whole tops of tree or large branches and/or trunks from the tops of trees), are at a greater risk for falling. This is because the tree cannot heal from these pruning wounds and it becomes easier for decay to seep into the tree and into the stubbed branch ends. In a situation where two or more trucks of about the same diameter develops from a point close to the ground, (co-dominance), this causes the tree to become more prone to falls in high wind. When the two trunks branch off of each other close to the ground, there is little wood holding them together, forming a tree that is not structurally sound. This problem becomes even more of an issue over time as the trucks expand in diameter. 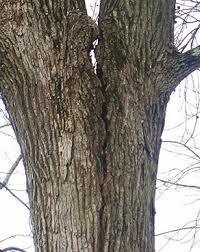 Trees should always be properly inspected after a heaving storm to detect any type of leans. Storms can cause trees to be knocked off center, and damage the root system, causing the tree to become vulnerable to later failure. For more information about our tree services in NJ, call Amazing Tree Services today! Amazing Tree Services- Your source for tree services in NJ!